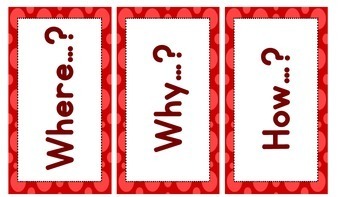 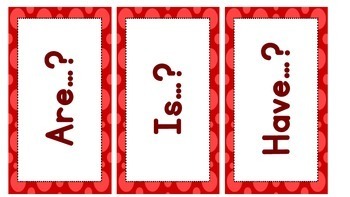 A set of question words in each of six different colour borders: red, yellow, green, blue, purple, grey. 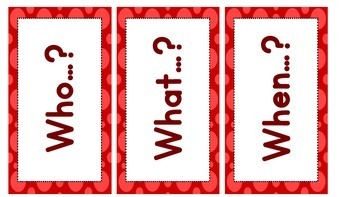 The question words included are:who, what, when, where, why, how, are, is, have, will, whose, would, should, could, which? 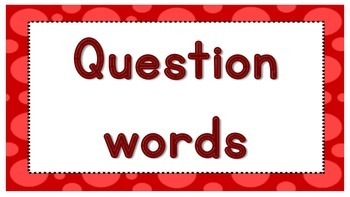 There are 3 questions per page.